From start-up Directive Games, this new experience presents players with an augmented table top combat game. 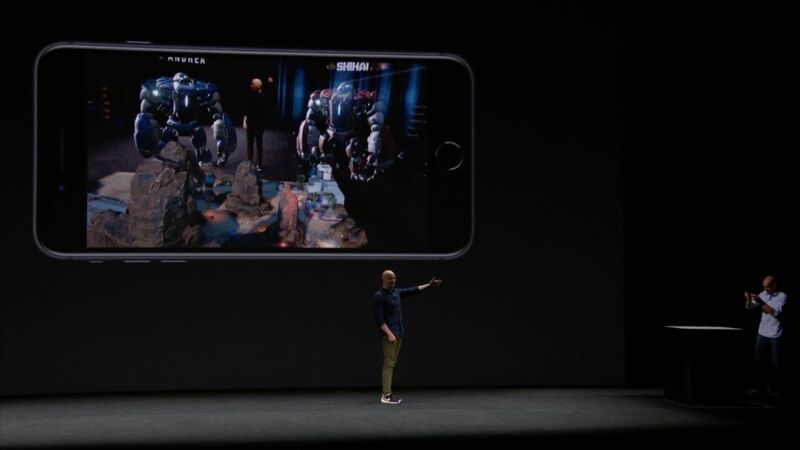 The Machines, which takes advantage of Apple's ARKit, looks like a real-time strategy game where you strategically maneuver a handful of units to overtake your opponent. Competitors will have to move around in real space to gain a tactical advantage as they work around the terrain. Coinciding with the announcement on stage, a website for the game also went live. The company’s founders have a lot of game experience, working at companies such as CCP Games (the maker of Eve Online), DICE, Square Enix, Ubisoft, and Tencent. Atli Mar worked at CCP Games for a long time.